Do you have surplus dialysis equipment and aren’t sure what to do? 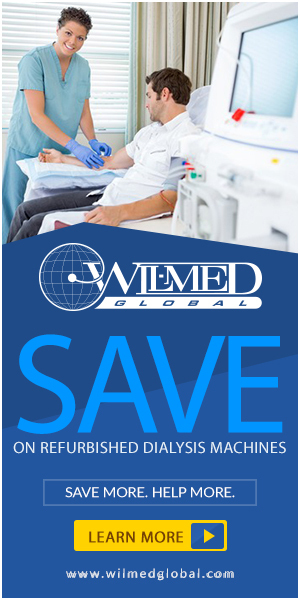 Wil-Med Global, Inc. is the leader in reconditioning dialysis equipment worldwide. We are continuously restocking our inventory of quality equipment, and we understand how important it is to place the right equipment in the right clinic.